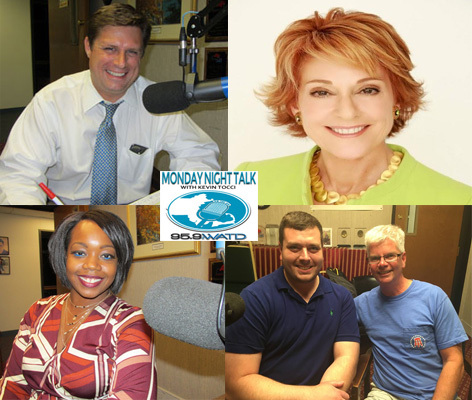 Welcome to the Monday Night Talk radio show podcast from July 24, 2017 featuring State Representative and US Senate candidate Geoff Diehl; Shaynah Barnes, Brockton Councilor-at-Large; Financial investgator Pam Yellen; plus Jerry Thornton from Barstool Sports and WATD Sports Reporter & writer for the Boston Herald Brendan Connelly!!! 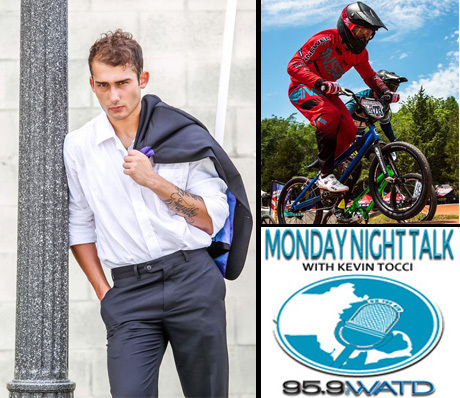 Check out the Monday Night Talk radio program with host Kevin Tocci and Peter Brown, as they speak with USA BMX "A" Pro Racer Andre LaCroix, who is has been racing BMX since the age of 4. He's the 2016 Peru National Champion, currently ranked 19th in the US and will be competing in the World Championships later this month down in South Carolina!!! 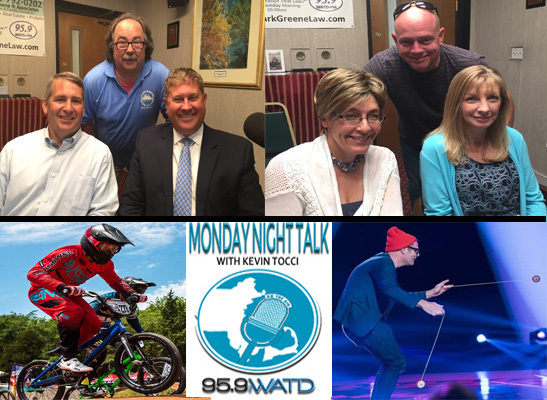 Here's the latest Monday Night Talk radio program with host Kevin Tocci and Peter Brown that aired on July 17, 2017 featuring State Representatives Mat Muratore & Kevin O'Reilly, Executive Director - Plymouth Area Chamber of Commerce; Tracy Marzelli, Michelle & DJ Littlefield; USA "A" Pro BMX Racer Andre LaCroix and John "Yo-Yo Guy" Higby!!! 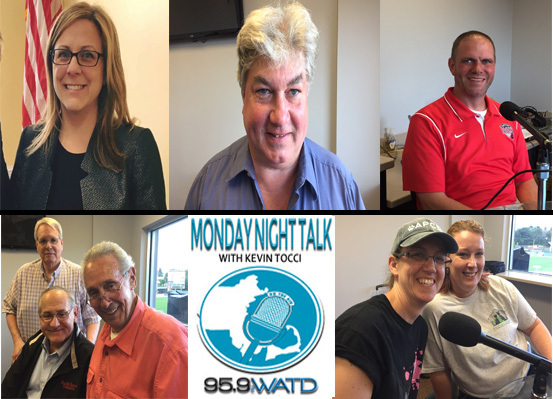 Check out the Monday Night Talk radio program with host Kevin Tocci, as the show is broadcast live from Campanelli Stadium, home of the Brockton Rox baseball team. During the program, Kevin speaks with State Representative Michelle Dubois; State Senator Mike Brady; Brockton Rox Senior VP & General Manager Todd Marlin; Brockton City Councilors Dennis Eaniri, Win Farwell & Paul Studenski and from the Animal Protection Center of Southeastern Massachusetts; Kim Kokkotos, Kim Heise & WATD's Pet of the Week - Rupert!!! 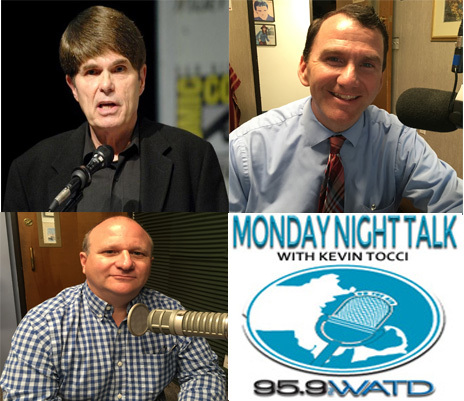 Welcome to the Monday Night Talk radio show podcast from July 3, 2017 featuring State Representative Jim Cantwell, Weymouth Councilor-at-Large candidate Chris Primiano; Massachusetts Teachers Association President Barbara Madeloni and New York Times Best Selling Author Dean Koontz, to discuss his new book, The Silent Corner!! !